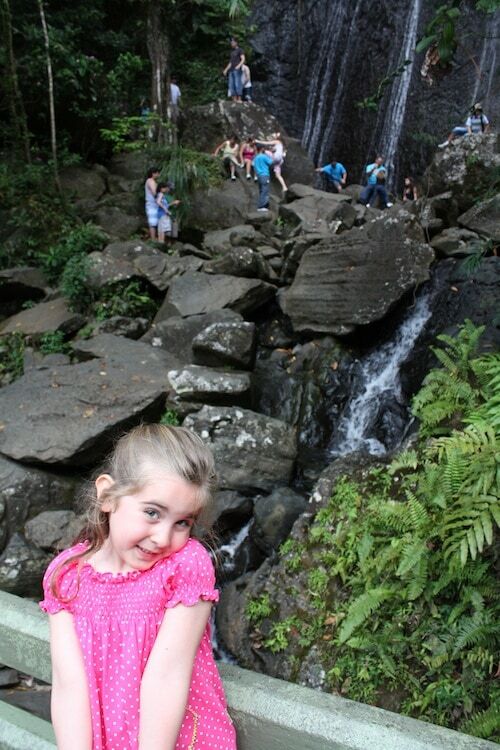 Before we headed out to this waterfall, we watched a video about El Yunque which was narrated by Benicio Del Toro. Needless to say, I WAS BAWLING IN THE THEATRE. It was so beautiful. After I shook it off (I have a TRUE AFFECTION FOR TREES), we drove up to our first destination – this rock waterfall. We all took turns climbing up and the kids were DYING to do it again and again. Take a look at the video – Puerto Rico is really a magical place. Ahhh that is so beautiful. Don’t feel bad – I would’ve been bawling in the theater, too. LOL! I have never been…but I would absolutely love to go!